Cricut has released a mystery box treat for Easter! It includes adhesive vinyl, patterned iron-on vinyl, and pens. The Easter Mystery Box is only $29.99 for products valued at $90.42! This week’s Cricut Mystery Box has a great variety of materians including vinyl, Disney paper, Party Foil, Everyday Iron-on, and felt! The Clover Mystery Box is $39.99 for products valued at $132.57! 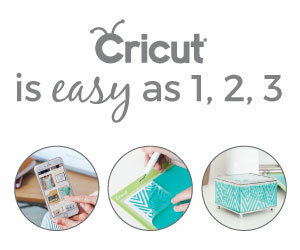 Cricut’s April Fools sale runs now through 4/2/19. This sale features EasyPress 2 bundles, Cricut Maker materials, and Iron-on materials. March 21, 2019 .Reading time 2 minutes. There is a new mystery box this week, and it includes a great variety of materials! The Leprechaun Mystery Box is only $29.99 for products valued at $86.93! Cricut has just released a March Madness Mystery Box full of adhesive vinyl perfect for spring projects! It’s only $29.99 for products valued at $77.93! March 7, 2019 .Reading time 2 minutes. Cricut is showing the love in March with a February Mystery Box! It includes a collection of glitter vinyl, adhesive foil, and iron-on designs for only $29.99! February 12, 2019 .Reading time 2 minutes. Cricut is giving us a Valentine’s Day treat with a Valentines Mystery Box! This one is a big box of supplies including vinyl, iron-on foil, fabric, glitter cardstock, and pens for only $39.99! I’m having so much fun with the images from the Star Wars Valentine’s Digital Mystery Box! Here’s a card I made from one of the image sets. The force is with us! Cricut has released a Star Wars Valentine’s Digital Mystery Box! These five sets of licensed images are available for a limited time for only $29.99! It’s a great time to stay inside and craft! Get all the adhesive vinyl you need at a fantastic price with the Snowbird Mystery Box.